The regions across the country where vendors are most likely to receive a profit for their property have been uncovered in a new report. RP Data’s June 2014 quarter Pain and Gain analysis revealed that nationally, just nine per cent of property resales resulted in a loss, compared to 11.5 per cent of resales in the same quarter last year. Regional Western Australia, Perth, and Melbourne were most likely to offer vendors a profit of 100 per cent or more. In regional Western Australia, 40.3 per cent of resales in the June 2014 quarter resulted in a 100 per cent-plus profit, but 16.8 per cent resulted in a loss. 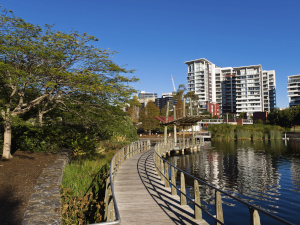 Just over 40 per cent of resales in Perth and 36.8 per cent in Melbourne offered a profit of 100 per cent or more. The Pain and Gain Report indicates Sydney was one of the safest resale markets over the quarter with only 2.7 per cent resulting in a loss and over 50 per cent of sales resulting in a profit in excess of 50 per cent. While the proportion of vendors making a loss on their resales is dropping across the country, Queensland and Tasmania continue to deliver the worst results. The most difficult area for sellers was regional Queensland, where 21.6 per cent of sales resulted in a loss, and regional Tasmania, where 21 per cent of sales were loss-making. Hobart was also ranked as the worst capital city for home resales at 14.7 per cent going for less than their purchase price. Brisbane fared slightly better at 11.1 per cent, ahead of Canberra at 11.3 per cent and Adelaide at 11.6 per cent. Overall, the analysis found owners who sold within three to five years of buying were most likely to sell for less than they bought for. The worst performing properties were apartments in lifestyle markets. Unit sellers lost out in 34.8 per cent of resales in Mackay and 33.3 per cent of resales in Townsville.